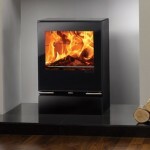 Stovax manufactures a diverse range of highly efficient wood burning and multi-fuel stoves and fires. With efficiency levels of up to 87%, these appliances will suit many different home styles. A highly efficient solid fuel appliance means that wood and other forms of solid fuels such as charcoal, peat, coal and many more are burned efficiently and economically. Adding heat to your home with a highly efficient solid fuel stove or fire means you can keep snug, without denting your wallet. This doesn’t necessarily involve owning a heating appliance that is less fashionable with fewer product features. In fact, these days it is all about the highly efficient, stylish wood burning and multi-fuel fires and stoves that suit your home’s interior and help you economise on your monthly fuel outgoings. For those home-owners opting to burn wood in their highly efficient solid fuel appliance. One of the reasons for this is that they may be fortunate enough to have their own land and therefore; the potential for free fuel is great. Another is that choosing to burn wood is a great way to offset their carbon footprint and become more carbon neutral. 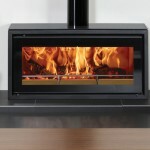 Stovax offers a range of highly efficient wood burning and multi-fuel stoves and fires for those city dwellers. Visit our DEFRA Approved Stoves page to find out more about using wood burning and multi-fuel fires and stoves in urban areas. For the highest heating efficiency and best heating performance, our ultra-clean burning SIA Ecodesign Range of stoves and fires offer the very latest in solid fuel technology. These advanced wood burning and multi-fuel products go even further than DEFRA standards and meet future emissions targets. They are also 70% cheaper to run than an open fire requiring far less logs to provide the same amount of heat, whilst producing 90% less particulate emissions. 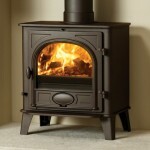 View the UK’s largest range of Ecodesign Ready stoves here.